Technology is constantly evolving and, because of that, consumers are constantly changing. What they want, need and how they find it will also be ever evolving. Along with that search, local SEO, content marketing and social media will always be changing to meet the needs of the consumer. It’s a cycle that will continue to repeat itself. Below are some of the notable changes that impacted how businesses are found online, how they reach consumers, and how they will be found and viewed in the future. Smartphones brought about the converging of mobile and local search and both will continue to be important as smartphones get smarter and geolocation becomes even more important. The vast majority of consumers are searching for products and services on their mobile devices and brands must have a website that is both fully mobile optimized and optimized for Local Search. To support this further, Google made changes to their algorithms including one that earned the name of “mobilegeddon” relating specifically to removing websites that are not mobile optimized for mobile search results. The days of being able to get away with just one or the other are long gone. Talking out loud to your smartphone and other devices is no longer just a novelty. In response, technology for voice search such as Google Now, Apple Siri and Microsoft Cortana is being upgraded. As these improve almost daily (or so it seems) searches will begin to be conducted more and more via voice and less from manually typing in keywords. Businesses and brands need to keep their ears to the ground because this will take local SEO to new places in the future. Optimization of a business’s information on directory sites, local profiles, and having a consistent NAP (Name, Address, Phone number) have always been necessities. Ensuring all of this information is 100% accurate and maintains accuracy will be even more important to businesses in the future since it is not only a trust signal for search engines, but also the consumer. Mobile devices mean consumers are online almost constantly and connected to social media. They are talking about products, businesses, restaurants and anything else they have done recently or are looking to do. 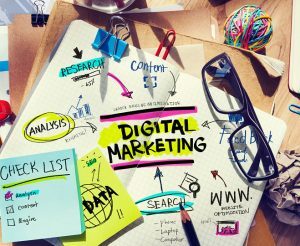 Businesses are using social media sites as a component of their digital marketing strategy to connect with consumers and attract them into their brick-and-mortar location. Facebook has been making it easier for its users to search on their platform and connect with the businesses they need. They even introduced a pilot program of a new “Facebook Professional Services” area. Be watching Facebook and other social media sites as they will continue to make changes to improve the user search experience. Artificial Intelligence has always been a part of science fiction movies or books until recently. In 2015 Google introduced RankBrain which integrates A.I. into the largest search engine on the Internet. RankBrain enables Google to serve search results based on consumer intent. This goes far beyond just the words the consumer enters into a search field, but considers the motives and thought process behind those words. This is just the beginning of how intelligent search engines are becoming. Mobile optimization was quite a buzzword during 2015 and now Google has announced the coming of AMP html which, when used on a website, amps up the load time of pages being loaded on mobile devices. Consumers are searching on mobile devices while on the move and this means they aren’t going to wait for a web page to load. While we all managed to survive “mobilegeddon”, businesses should not let down their guard on continuing to manage and monitor the mobile-friendliness of their sites from now until the actual Armageddon or the Zombie Apocalypse at least. Everything marketers, brands and businesses create hinges on the customer experience or it should. As searches improve so should the customer experience businesses give the consumer. Now that searches are becoming much more specific and search engines are more intelligent, having your brand stand out in the minds of consumers is even more important than ever. Plus, the rapidly rising popularity of review sites means that the customer experience is the key to bringing consumers to a business’s website or through the doors of a brick-and-mortar business more than ever. Your content marketing strategy should be always evolving to match the needs and search habits of the consumer. It is more important than ever to understand more than just who a business’s target audience is but also where they are spending their time, what they are doing and tailoring each message as much as possible to meet their needs. Then you have to put that content where they are. This targeted method of creating content starts with creating personas and then developing a content marketing strategy to reach each persona. It’s not one size fits all. Google’s Knowledge Graph is continuing to change how we do SEO and will only continue to do so more in the future. Google needs businesses websites for search results and those websites need Google to rank them high in search results. In order to achieve both it is important to feed information on your business to Google in order for Google to match your business with queries and add to your business’s knowledge graph. The more information (or knowledge) Google has on a business, the more queries it will match to that business. Knowledge, expertise, knowing your target audience and delivering information they are searching for will put you in more search results and also enlarge your knowledge graph edging out more of the competition. Last year was a busy year for local SEO and we saw many changes that will affect how businesses market themselves now and moving into the future. These were just some of those changes and there are more coming, so keep up-to-date and adjust your marketing strategies accordingly throughout 2016. What other advances are you implementing in your 2016 strategies? I’d love to hear about them! One thing that can address point #2 is a “click here to chat” button on website.